Pro-Tech is a full service technology and communications solutions provider specializing in customized solutions for education, government, healthcare and corporate customers. Since our conception in 1991 Pro-Tech has completed several thousand data, fiber, voice, and video communications projects ranging from the small to the very large. Several companies rely exclusively on Pro-Tech to implement their network cabling needs. Pro-Tech’s extensive relationships with worldwide leaders in telecommunication and networking places it in a position to provide a broad range of services, including the installation of optical fiber, and copper based structured wiring systems, network design, and certification of your installed network. On the cutting edge of technology, Pro-Tech is capable of installing the latest innovative products, allowing our customers a longer cabling plant lifespan. Our innovative approach allows us to determine a solution for all your voice, data and optical fiber cabling needs. Our technicians utilize the latest products and installation techniques to ensure a system that fits your budget, and meets your requirements. 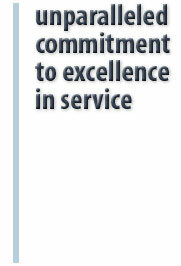 Our total commitment to excellence in service is unparalleled in the industry.